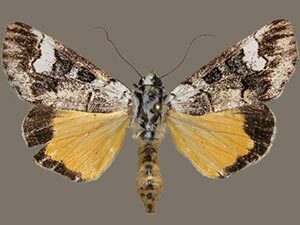 Taxonomic Notes: Neotuerta collectiora Todd, 1966, originally described as a Cuban subspecies of Neotuerta sabulosa (Felder, 1874), Proc. US Natn. Mus. 120(3560): 13, is raised to full species status based on research by Jim Troubridge, ZooKeys, 788:248. This species was collected in the Florida Keys in 2016 by David Fine.